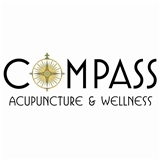 Compass Acupuncture & Wellness (Brooklyn) - Book Appointment Online! I believe that we are all given the ability to heal ourselves, but at times we may need support and guidance along the way toward achieving our ultimate health goals. My intention is focused upon working with my patients as a team in order to create a truly custom plan to re-establish dynamic balance within the body. Whether it be physical, mental, emotional or any combination thereof, my holistic approach will attend to the root cause and manifestations that you are experiencing. Kim was great. She was extremely thorough and attentive during our initial meeting, and she worked wonders in just one visit.